This is a Pennsylvania State Real Estate Commission-developed course useful in obtaining a Pennsylvania real estate broker license. identify and explain various types of both heating and air conditioning systems as well as life expectancies, efficiencies, and replacement costs; and various types of electrical services, cable sizes, and overload protection. This is a four-day, 30-hour course. It is categorized as Pennsylvania State Real Estate Commission-developed. 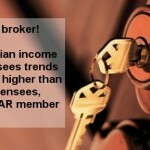 See the Polley Associates free Pennsylvania Broker Guide for more information. 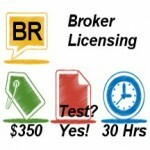 It is worth two credits toward earning a Pennsylvania real estate broker license. Depending on Commission requirements issued during any renewal cycle, it has the potential to fulfill up to 14 hours of mandatory continuing education for salesperson’s or broker’s license renewal. Student Material: This course may be accompanied by in-class materials distributed by Polley Associates. “Real Estate Sales” is one of several courses approved by the Pennsylvania State Real Estate Commission that are useful in obtaining a real estate broker license. “Real Estate Investment” is one of several courses approved by the Pennsylvania State Real Estate Commission that are useful in obtaining a real estate broker license. “Real Estate Finance” is one of several courses approved by the Pennsylvania State Real Estate Commission that are useful in obtaining a real estate broker license. “Real Estate Brokerage and Office Management” is one of two required broker courses approved by the Pennsylvania State Real Estate Commission. 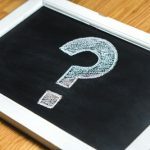 “Real Estate Law” is one of two courses approved by the Pennsylvania State Real Estate Commission that are required to obtain a real estate broker license. Polley Associates on Tuesday announced its new schedule of pre-broker license courses available in Eastern Pennsylvania through the end of March 2015.